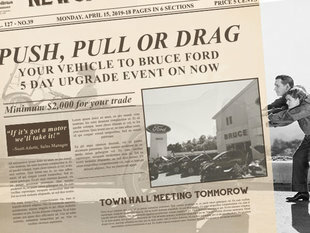 Alain at Bruce Ford always helps you find the vehicle you want at the best price, and he keeps me coming back. Thanks Alain and Bruce Ford! They were very reasonable peole, and it was a good experience. I like the website where I found my car! Mike was also very nice, and he is a great sales representative. Great service! Had every question answered promptly. Alain Doucet was very helpful in helping me find the car that wuits my needs, was able to give me straight and direct answer about the car and the financing.